WHAT A GREAT BUY IN THIS BEAUTIFUL MOUNTAIN VIEW COMMUNITY! 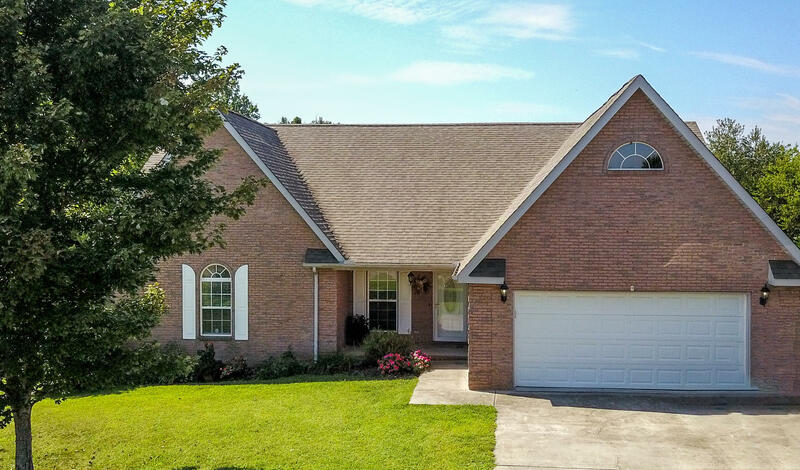 THIS PRETTY ONE STORY BRICK HOME OFFERS A LEVEL LOT WITH A PRIVATE BACKYARD. AMENITIES INCLUDE LARGE MASTER SUITE WITH HUGE WALK IN CLOSET OPEN VAULTED CEILING LIV RM, LARGE FOYER,(All with hard wood floors! )NEWER CARPET IN 2 BEDROOMS (2nd bedroom could be another master) OPEN KITCHEN W/ A HUGE DINING AREA PERFECT FOR A FARM TABLE,NICE SIZE LAUNDRY ROOM, 2017 NEW DISHWASHER, KITCHEN FARM SINK, BUILT IN MICROWAVE & SMOOTHTOP STOVE, PANTRY, TILED KITCHEN FLOOR & DINING AREA WITH A DOOR THAT LEADS OUT TO YOUR DECK FOR GRILLING & ENTERTAINING, FRESHLY PAINTED INTERIOR,LOW COUNTY TAXES BUT CLOSE TO SHOPPING, SCHOOLS & RESTAURANTS, SPACIOUS 2 CAR GARAGE,COVERED FRONT PORCH & PRICED TO SELL! WHAT ARE YOU WAITING FOR?